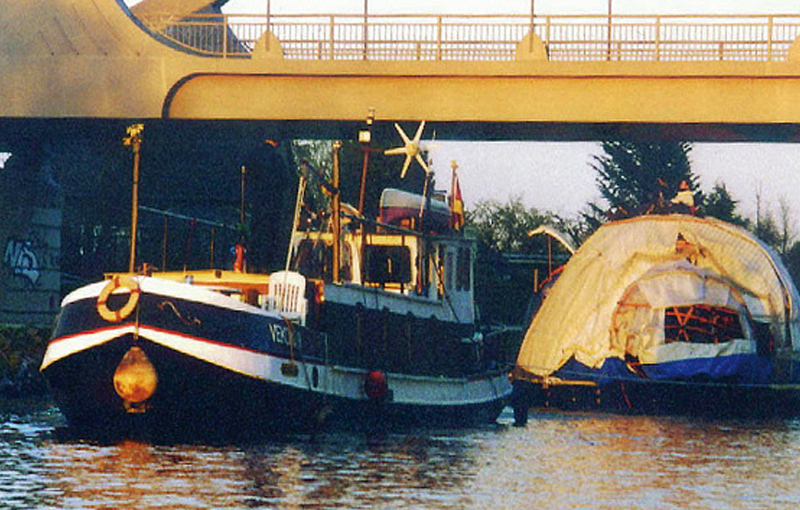 For 2002, the german NGO „Positive Nett-Works“ had planned a floating roadshow with the future-raft, travelling from Hanover via rivers and channels to the capital Berlin to meet Germanys minister of environment, Mr. Jürgen Tittin. 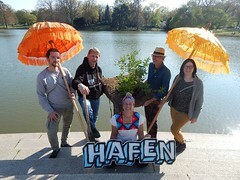 10 years after the declaration of Rio in 1992, Joy and his interdisciplinar crew wanted to see, if the environmental action plan „Agenda21“ had created any impact. 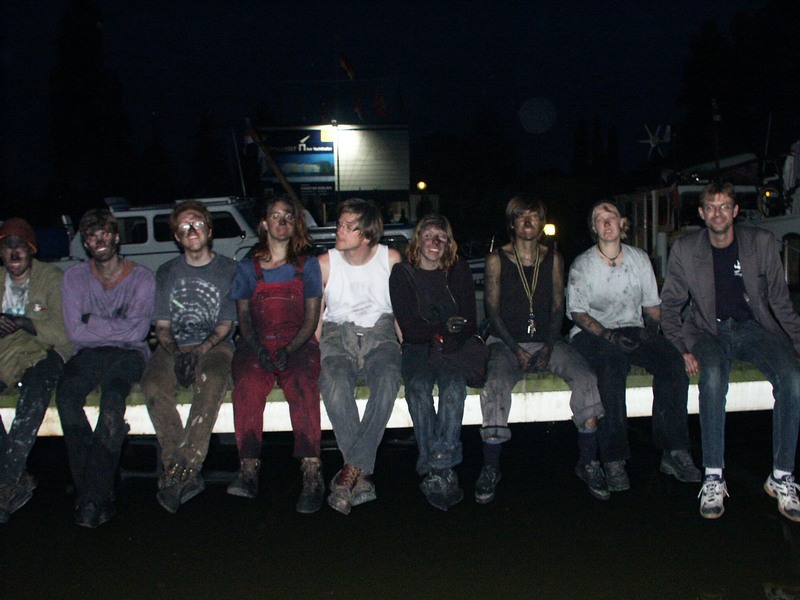 Even before departing, the project had become a controversial issue and the „future-raft“ was burnt down to stop the activists. But it was too late to cancel the Tour21. Many volunteers immediatly helped to clean the channel from burned rubber and the adventure started with a chartered ship on schedule. 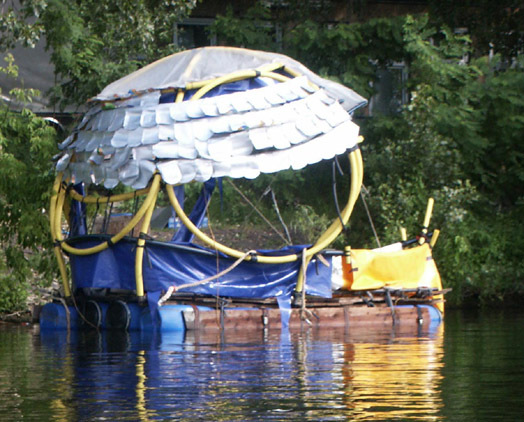 On the way, the changing crews not only evaluated the stuation of Agenda21 inthe visited towns but also built a new recycling raft on the way: the „dragon-egg“. 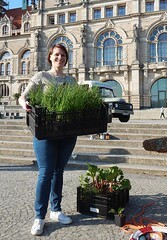 Finally they reached Berlin and delivered a huge load of collected „messages in the bottle“ to the ministry, demanding political actions against climate change.